Horn, hot air, fire, etc. 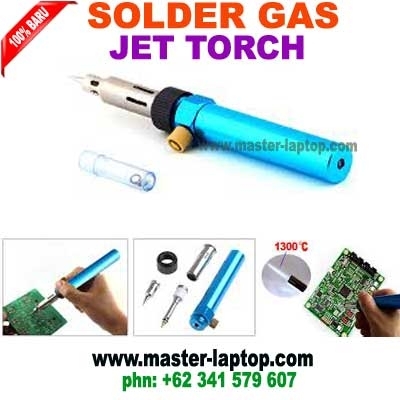 Breaking the traditional iron wire circuit and difficult to move too hot, fire shortcomings, the research and development of gas soldering iron. As long as the filling gas lighter gas can be used, once the filling can be used continuously for 30 minutes , while a variety of welding head together as multi-purpose use. Is climbing, camping, first aid, survival, an indispensable tool for home hardware repair, is widely used in automotive, utilities and even jewelry, dental, optical and other fields. Whether engineers, repair electrical, electronic and telecommunications, or US engineering students like DIY amateurs, with multi-functional soldering pen, anywhere is no longer a dream. Best DIY hand tools, Mini Pocket torch 3 in 1 durable gas soldering iron group, for use in welding and general home maintenance. Using butane gas as fuel welding tools, the products are small, high safety factor, ease of repair personnel to carry is the ideal tool for on-site repair service, welcomed by users.